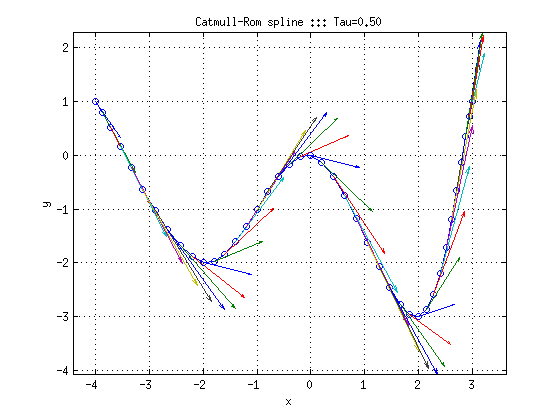 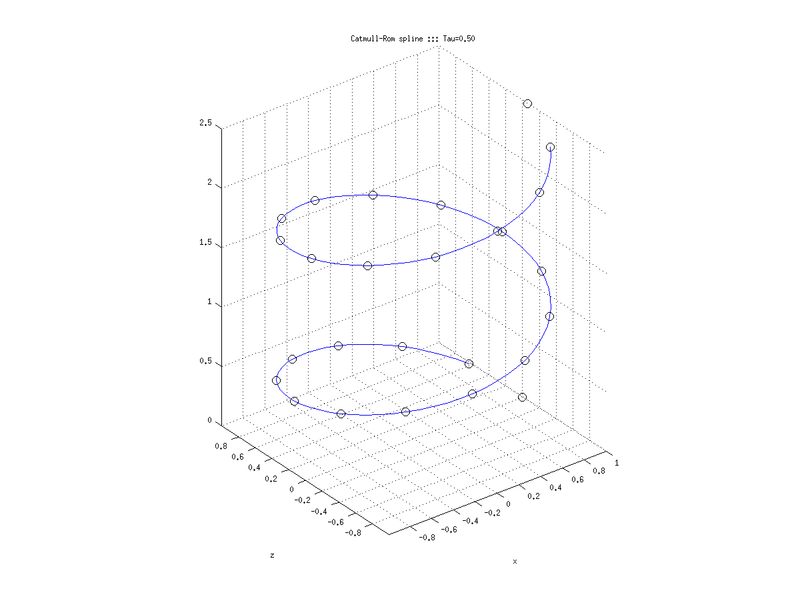 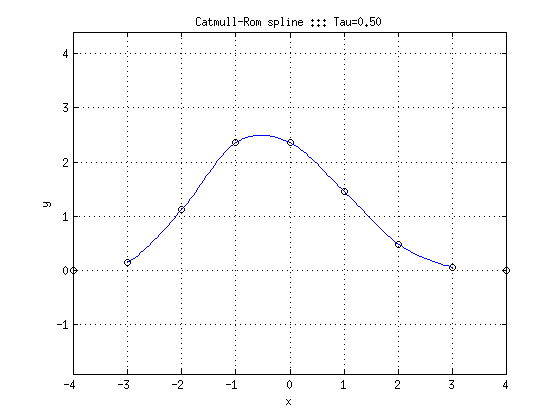 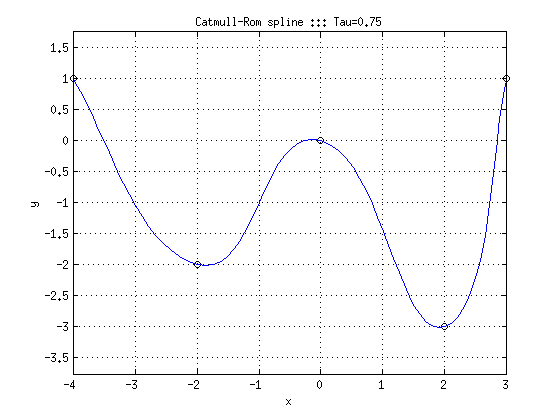 The Catmull-Rom splines is a method that approximate a set of points (named control points) with a smooth polynomial function that is piecewise-defined. 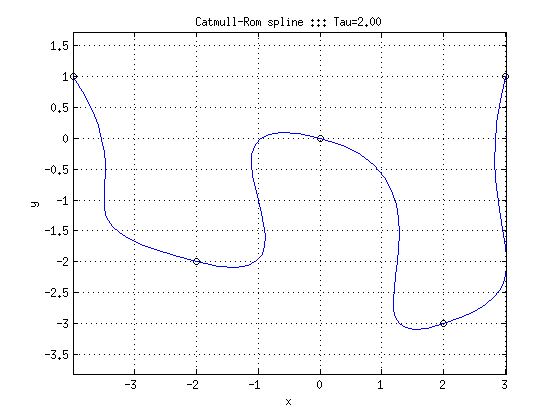 One of the properties of the Catmull-Rom spline is that the curve will pass through all of the control points. 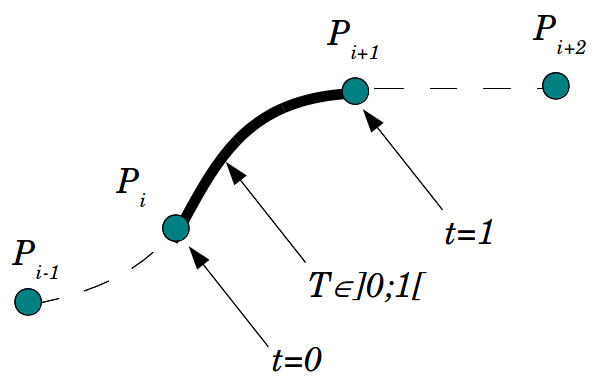 Two points on each side of the desired portion are required. 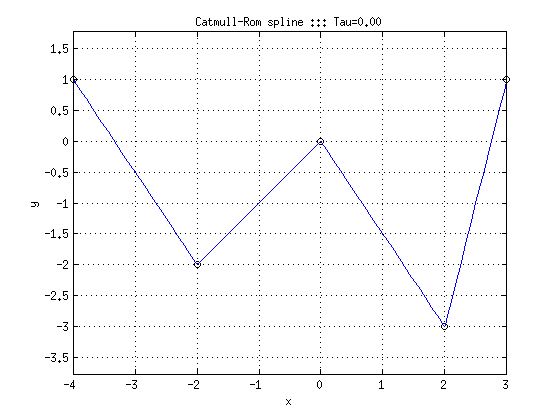 In other words, points and are needed to calculate the spline between points and . 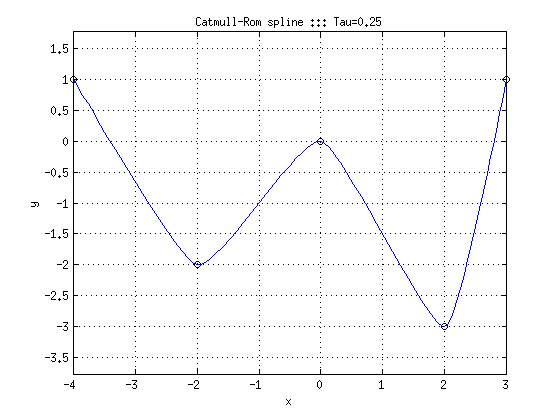 The parameter modify the tension of the curve. 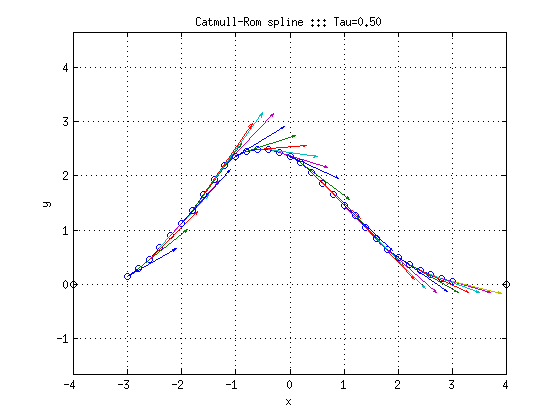 The following figure illustrates the influence of the parameter on the curve. 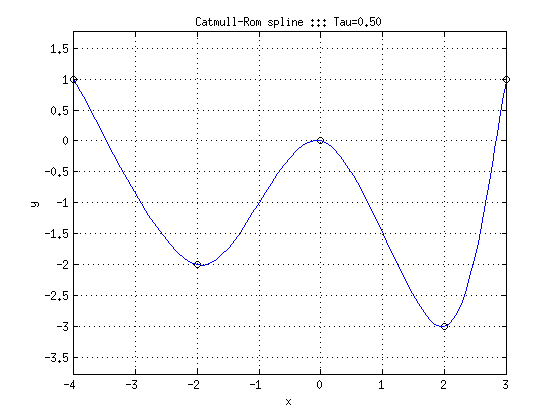 Note that is commonly used (as in the particular case presented previously). 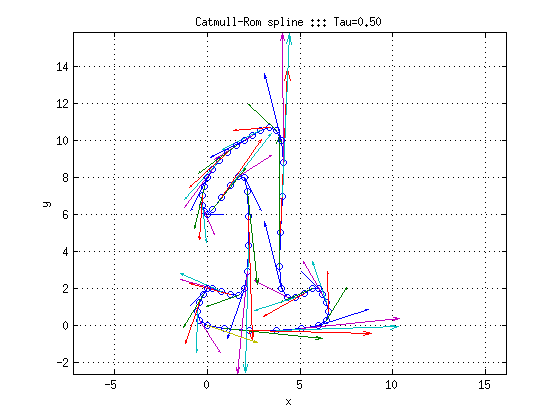 The spline passes through all of the control points. 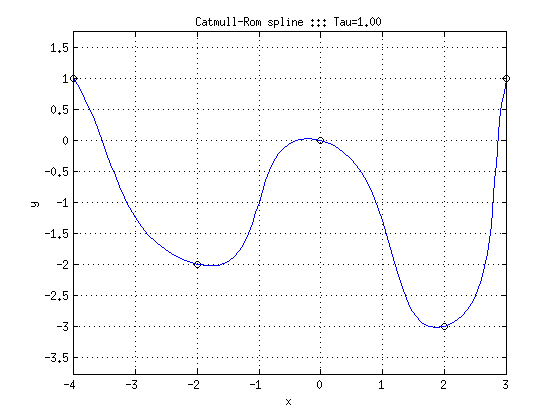 The spline is not continuous.